Poinsettia originally comes from the highlands of Mexico and that tells you something about the conditions they need. The Aztecs, who lived in today’s Mexico between the 14th and 16th Centuries, called the poinsettia plant Cuetlaxochitl, which means ‘leather flower’.It was used to embellish temples, and was seen as a symbol of new life for warriors who had fallen in battle, and also provided a healing plant and coloured dye. Aztec legend says that Cuetlaxochitl was the favourite flower of Montezuma, the Aztec ruler. He believed thered stain on its upper leaves came from the blood of anAztec goddess who died of a broken heart. His legend spread all the way to Europe, where it most likely inspired the poinsettia’s French name; Étoile d’amour, or Star of Love. 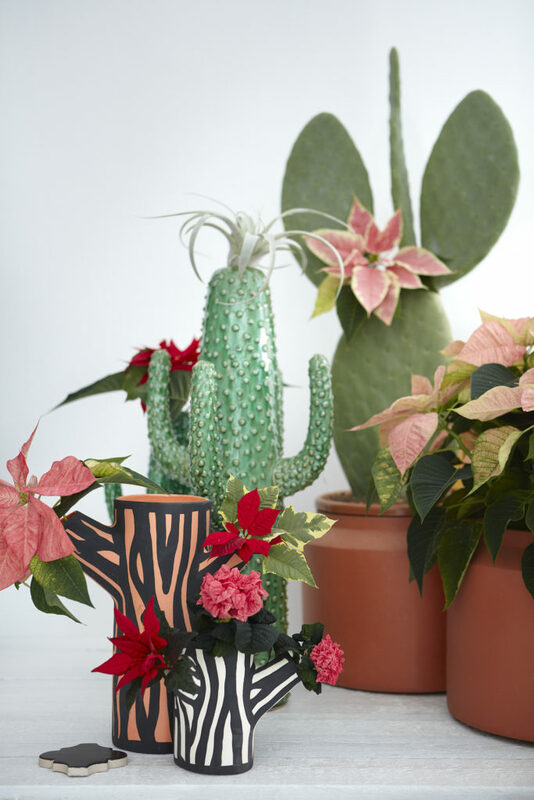 Your Christmas gem is originally from Mexico, which explains its sensitivity to cold and wind, but that’s not to say it can’t be at happy in a cosy British home. Just keep it somewhere that attracts daylight; a windowsill would work, so long as the window isn’t left open, and bear in mind its favourite temperature falls between 15 and 20°C, so it should be happy in most living rooms. 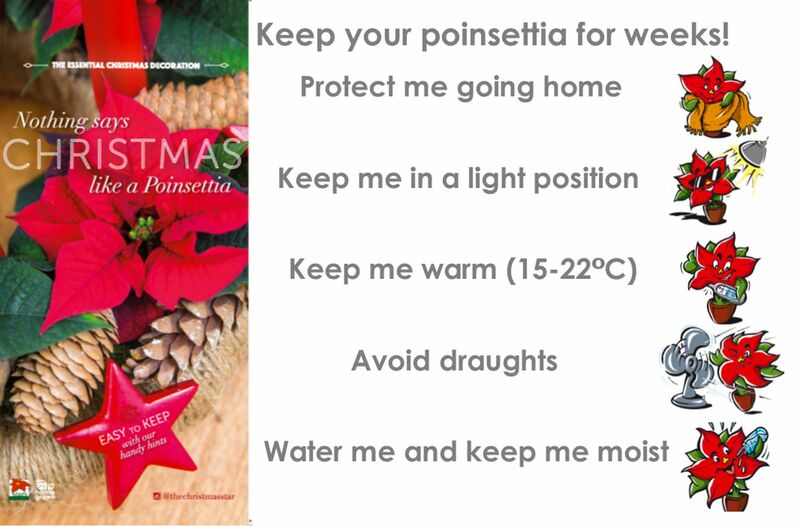 Remember the golden rules: poinsettias need warmth and light, and must be kept away from draughts (that means NO fireplaces, NO open doorways, NO open windows, and NO breezy hallways). 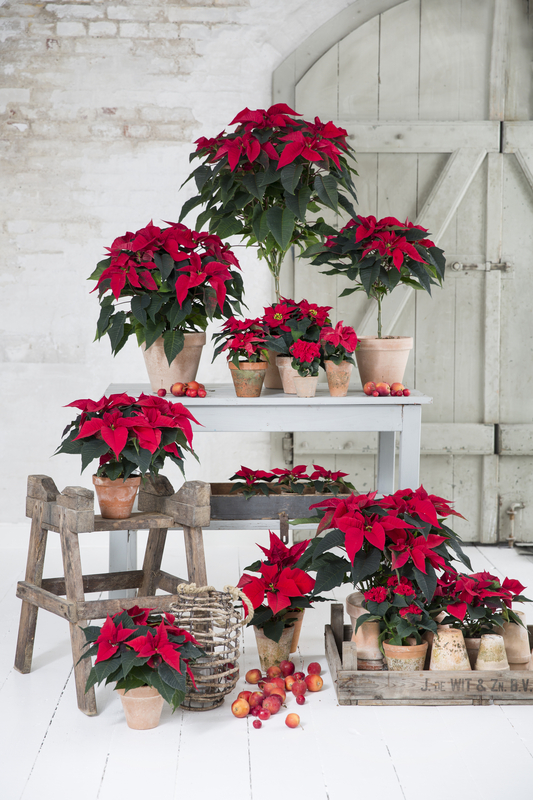 From November, poinsettias are available in stores everywhere. Select a reliable supplier with Home Grown plants! Keep it in a bright, warm spot (around 20° C). Don’t over-water it by leaving a pool of water in the bottom of the pot it’s sitting in. Only water when the soil is almost dry. If by any chance you have an accident with your poinsettia plant and one or more of the stems break off the plant, it is still possible to enjoy the coloured bracts as cut flowers in a vase or even floral foam. They wont last quite as long as the pot plant but will keep for several days once you have sealed the stem and stopped the latex flow by dipping them in hot water at 60˚C for 20 seconds and then into cold water for 10 seconds. poinsettia in all kinds of shapes and sizes. You can select the type you need at your favourite retailer or nursery or you can buy smaller plants and put them together in your own arrangements.